Of the two prizes, the King Sejong prize, named after the Korean monarch who designed Hangul (the Korean script), "gives special consideration to the promotion of mother-tongue languages in developing countries." The Associação Progresso was described in the UNESCO release as "a Mozambican nongovernmental organization recognized for its effective ‘Literacy in Local Languages, Springboard for Gender Equality’ programme in Mozambican languages. It has achieved good results by building on international standards and research, training facilitators and involving the community in designing, monitoring and improving delivery." “This case involves a partnership between Associação Progresso in Mozambique, and CODE, a Canadian organisation specialised in the promotion of quality primary education. Progresso and CODE have been working to increase the quality of education in the two Northern provinces of Mozambique for over 15 years. The activities in their joint programme, 'Promotion of a Literate Environment in Mozambique,' include the provision of reading and learning materials in Portuguese and local languages, skills development for primary teachers and adult literacy teachers, and training of education officers in specialised functions such as education planning, in-service training, and the monitoring of teaching and learning. It is unfortunate that such descriptions do not name the languages involved. If the activities are still concentrated in the north of the country, the languages might include for example: Makhuwa; Lomwe; Yao; and Nyanja. The other prize, named after the ancient Chinese philosopher Confucius, recognizes "the activities of outstanding individuals, governments or governmental agencies and NGOs whose work in literacy serves rural adults and out-of-school youth, particularly women and girls." Often these also involve first languages. According to the UNESCO release, La Plateforme des associations chargées de l’ASAMA et du post-ASAMA (Platform of Associations in Charge of ASAMA** and Post-ASAMA) is "an NGO in Madagascar that developed a comprehensive approach to achieve the Millennium Development Goals (MDGs) by establishing partnerships between the national authorities and 66 other NGOs. The programme provides a range of literacy courses for illiterates who account for 40% of the population, technical and vocational training at all levels and supports graduates in their efforts to find employment or start their own business." It is not specified which language or languages are used, and I haven't found further information on that question elsewhere, but it may include literacy in Malagasy. In past years, other African organizations have also received UNESCO literacy prizes. A list of African awardees over the previous seven years is presented below, with brief information on languages, where available. 2014 L’Association pour la promotion de l’éducation non formelle du Burkina Faso (BF-APENF), Burkina Faso. - "activities in five local languages" L’Association algérienne d’alphabétisation « IQRAA » (which means "read" in Arabic), Algeria. Bridges to the Future initiative of Molteno Institute for Language and Literacy, South Africa & International Literacy Institute, USA. - "reaches primary school children and illiterate adults through a specially designed multilingual computer program that tries to bring a more cohesive learning experience to the learner." 2013 La Fédération des associations de promotion des langues du Guéra, Chad. - literacy in maternal languages of Guéra region Savoir pour mieux vivre (SAPOMIVIE), Ivory Coast. Directorate of Adult Education of the Ministry of Education, Namibia. - "basic literacy course consists of a 3-year training, averaging some 240 hours per annum. The first two years combine basic mother tongue functional literacy, offered in eleven local languages and life skills. English is introduced during the third part of the training." 2012 National Adult Literacy Programme, Pentecostal Church, Rwanda. Programme d’alphabétisation fonctionnelle à l’intention des femmes et des filles à travers des groupes de femmes et la formation tout au long de la vie of the Direction de l’alphabétisation et de l’éducation des adultes, Niger. - "covers not only reading, writing and counting in the mother tongues but also life skills and practical and productive activities"
Programme d’alphabétisation et de post-alphabétisation : autonomisation et intégration socio-économique des femmes marocaines of the Direction de l’élimination de l’analphabétisme, Morocco. 2011 Service national d’alphabétisation, Burundi. - "The government-funded courses take place in more than 900 centres across the country and are delivered in the national language, Kirundi." Collectif ALPHA UJUVI, D.R. Congo. - "... Peace Hut scheme ... runs alongside literacy classes for adults and young people in both Swahili and French." 2010 General Directorate of Adult Training, Cape Verde. - "Portuguese language lessons draw on real life in Cape Verde and are held in the national language, Crioulo, in all of the 17 education and adult education centres scattered throughout the archipelago." Females for Families program of the Governrate of Ismailia, Egypt. Women Land Rights Project, Coalition of Women Farmers, Malawi. 2009 Tin Tua, Burkina Faso. 2008 Reflect and HIV/AIDS program of People's Action Forum, Zambia. - "The Jury admired the association’s use of local languages in teaching the rural women in their literacy programmes to be autonomous, following the motto: 'rather than wait for government to decide, people should be involved in the decision-making process.'" Adult and Non-Formal Education Association (ANFEAE), Ethiopia. * Réal Lavergne and Jacqueline Wood, "Civil Society and Aid Effectiveness: Exploration of Experience and Good Practice. A Reference Document" (2nd ed. ), Prepared for the Advisory Group on Civil Society and Aid Effectiveness, August 31, 2009. ** ASAMA stands for Asa sekoly avotra ho an'ny Malagasy in Malagasy and Action Scolaire d'Appoint pour les Malagasy Adolescent in French. I first got interested in African languages after my experience working in the field in Togo, where so much happened around me in languages that I never mastered beyond greetings and a few phrases. Later in Mali and Guinea, I made special efforts to learn their languages for working and living on community levels. This experience and subsequent research and observation have convinced me of the importance of African languages in development work (even for foreigners and outside-funded projects), and attuned me to how language is and is not mentioned in various discussions and descriptions of development work in Africa. So it was with interest that I looked at some articles on the "Harnessing Youth Volunteers as Literacy Leaders" (HYVALL) project in Senegal, which is funded by USAID under its All Children Reading Grand Challenge program, and implemented by YMCA Senegal with the US non-governmental organization, Education Development Center, Inc. (EDC). I found it striking that one, and another, and then another article about this literacy effort made no mention at all of the language or languages used. Only when listening to a YouTube video by two members of YMCA Senegal could one learn that the students were discussing French lessons in "mother tongues" (French being the medium of instruction). But those languages for some reason were not named (presumably Wolof, the most spoken language in Senegal, is one of them). This is an interesting approach, making more formal outside of school and via peer tutoring the informal practice sometimes seen in African classrooms of the teacher explaining aspects of a lesson formally given in the Europhone language of instruction in the students' first language. However it also raises the question whether HYVALL makes any effort to expand students' literacy skills in their first language, and towards achieving "pluriliteracy" - or "multilingual literacy" in all their spoken languages. I've discussed pluriliteracy in African Languages in a Digital Age (pp. 40-41), as well as in a blog posting last year. Puriliteracy may not be the explicit goal of education or literacy efforts in Africa, although mother-tongue based/multilingual education may imply that outcome to a degree, and literacy in different languages or scripts is rarely if ever discussed in statistics. However it would seem to merit prioritization by programs such as All Children Reading. As much as mention of languages, and African languages in particular, might be omitted from communication about foreign-funded literacy projects, African languages seem often to be absent from the design and content of the projects themselves. I had not been aware of this work, which addresses a real gap in research on book donations to Africa and their impact. From a quick perusal it certainly seems that both parts go into considerable depth, including on aspects of the languages of books donated to Africa, and with reference to a large number of programs. If you are interested in the subject of book donations to Africa, add these to your reading list. Laurence Hugues and Marie Michèle Razafintsalama, "Quelles « nouvelles » pratiques du don de livres pour répondre au besoin des jeunes lecteurs africains dans les bibliothèques?" / "What 'new' book donation practices can meet the needs of young African readers in libraries?" Paper presented at: IFLA WLIC 2014 - Lyon - Libraries, Citizens, Societies: Confluence for Knowledge in Session 144 - Africa with Libraries for Children and Young Adults. In: IFLA WLIC 2014, 16-22 August 2014, Lyon, France. Both of the above mention the issue of the language(s) of publication of the books or e-books donated to Africa, and both were cited and discussed by Hans Zell and Raphaël Thierry in their respective articles. One interesting subject touched on by all of the above is that of a new "charter" or set of agreed-upon standards and best practices for book donations (not just limited to Africa). A "Charte de Don des Livres" was created in 2005 by several organizations including UNESCO, but never translated (as far as I can find) into English. That document did not specifically mention languages at all, although it does recommend (Article 9) that book donations take into account the cultural identities of recipient communities. Patrick Plonski, "Providing Books For Schools and Libraries in Africa: What Is the Impact on Literacy?" Paper presented at the 53rd annual meeting of the African Studies Association, San Francisco, California, November 2010. There is clearly a range of opinions and experience regarding best practices, so it does seem that the time is ripe for a broader dialogue to reappraise book donations to multilingual Africa, taking into account languages (linguistic "bibliodiversity"), the roles of national publishing and local writers, diverse community interests, evolving digital technologies, and other factors. The outcome could be some agreed upon set of guidelines for future book donations and foreign support for development of reading materials. Giving books and other reading materials to those who do not otherwise have access to them is seen as a good thing, and it generally is, apart donation practices that have been widely criticized as "book dumping." However, there is also an inherent asymmetry in the kind of reading material generally going from the West to Africa, in that most of it is in Europhone languages, with little or none in the first languages of the children and communities who receive them. And this linguistic imbalance, aside from sometimes being a factor in unusability of materials (when people can't read the language in which they are written), certainly carries with it unintended messages about the lower value of first languages and local cultures relative to those of the donated materials. At least some book donation programs in Africa have taken steps to address this imbalance by including materials in African languages, and among these, projects providing e-books and other digital texts have the easier road. 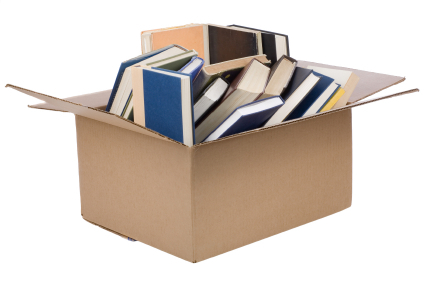 Book donations to Africa: What's involved? "Donations can be books collected from libraries, schools, individuals or associations abroad. They can be new books, recuperated book pulps or second-hand books, mainly religious books, textbooks, literature, and some academic and professional books. It [sic] can also be books bought or published by international organisations and freely redistributed as part of their education programme. "Donations can also be acquisitions of local books through purchases in a bookshop or the allocation of a budget to an associative structure towards acquiring books published locally." In this mix, clearly the weight of foreign books in Europhone languages (in which most reading and instructional materials are published) is literally and figuratively much greater. For instance, the US non-profit Books for Africa has shipped over 30 million books in hundreds of containers to Africa. But a search of their site yields no mention of books in languages other than in English or French. Another American NGO, African Library Project, also focuses on English language materials but also asks for donations to help purchase "native language" books. The British non-profit Book Aid International also seems to focus on English language materials to Africa, but also has included some locally produced books in African languages. Another British NGO, Books2Africa International has a helpful online chat feature and an searchable database of titles they ship to Africa, but I learned that the books they send are mostly English along with French, Spanish, German, and some Arabic (though they have future plans for African language titles, and support African authors). Acquisition of locally published materials, which would in most cases be the main way to include materials in African languages, is limited by the amount and type of publications produced in the recipient countries. This is another key dimension to consider in the larger picture of reading and instruction materials in Africa, which in turn is a function of the nexus of limitations in resources for publishing in Africa, first-language literacy, incentives for authors writing in African languages, etc. Even when locally published materials are included among those distributed, another potential issue is comparisons of quality of foreign books from the West in Europhone languages with locally produced books in African languages. In many African countries, at least as far as I am aware, materials in African languages are often printed on cheaper paper with a rougher presentation. What sort of message does disparity in quality of local and international books give to recipients of book donations? That said, there are quality books published in Africa, as well as by some specialized publishers outside of the continent (this is a topic I hope to return to). Can digital books redress the linguistic imbalance? Some initiatives to provide e-books and other digital reading materials to students in Africa have at least announced their intention to include books in the African languages of the recipients. "We will add titles in English, French, Creole, Spanish and Lingala to our Haitian and Congolese Libraries, while also building our Rwandan collection of Kinyarwanda titles. Specifically, we will license an additional 200 books for the Library and translate 30 new books into local languages." The Worldreader program boasts over 27,000 e-books in 43 languages, including the following African languages (links are to Wikipedia pages about the languages): "Adamawa" (meaning a variety of the Fula language spoken in an area centered on northern Cameroon), Afrikaans, Akan (they list the three old literary standards separately as Akuapem-Twi, Fante, and "Twi-Akan"); Amharic; Chichewa/Nyanja (they list the two names for this language separately); Dholuo; Ekegusii; Ewe; Gikuyu; Giriama (a Mijikenda language; also listed as Kigiriama in their list); Hausa; Igbo; Kamba; Kiembu; Kinyarwanda; Luganda; Luhyia; Lulogooli; Ndebele (not clear whether this is northern or southern Ndebele); Sesotho; Setswana; Shona; Swahili; Tetela; Xhosa; Yoruba; and Zulu. This is an impressive list, but I found no figures on how many titles for each language. In addition to formal ebook projects, there are also some websites offering some reading material in African languages (other than news sites - another topic), such as that of the Ghanaian NGO, Kasahorow. Altogether, these are significant beginnings at leveraging the potential of electronic digital technology to add African language titles among the books and other reading materials that African students and adults have access to. Digital technology has always had this potential for languages that have a relatively short written tradition. The costs of bringing out e-books or other text content on the internet is a lot less, of course, than those incurred in printing, binding, storing and shipping physical books. Combined with the ability to access such reading material on mobile devices (which are widely used in Africa) and dedicated devices (provided by some programs), this offers the possibility to at least partially offset the linguistic imbalance discussed above. However, resources to create (or translate) e-books, favorable governmental and donor policies, and support for authors and translators are still needed. See also the follow-on post, More on book donations to Africa. Where has that word been all these years? Recently had an interesting conversation in Philadelphia with Coleman Donaldson, who just completed his master's degree at the University of Pennsylvania Graduate School of Education, writing his thesis on aspects of the history of N'Ko. * One anecdote he shared stuck with me - how a Manding speaker read a word written in N'Ko that brought tears to his eyes, as he'd last heard that from his mother when he was 15. There's a lot wrapped up in a reaction like that, but one question that has stayed with me is what happened to that word in all the years in between? That is taking a certain liberty with the story, and it is certainly true that in any language and culture, someone may hear something infrequently used years apart and react to it strongly. But in a world where many unwritten and policy-neglected languages are contracting, the thought I had was that the spoken language alone may not keep the range of expression that it had been able to in earlier times. How many words are lost through lack of use in speech, lack of teaching, and not being written and read? A humorous account of an exchange in Mali about the Bambara word for indigo-dyed cloth - galafini - and some tailors' ignorance of it is another case in point, but this is not an esoteric term or rare concept in the context it was discussed. I personally recall being surprised when in Niger to find a native Fulfulde speaker who knew only the locution neɗɗo mo yiyataa (person who can't see) for blind person, and not the word bumɗo in his language (derived from the root wum- etc.). I also remember when in Guinea in the mid-1980s hearing co-workers my age saying that their elders could hold a conversation in front of them in their common language (Pular) that they could not fully understand, due to terms and expressions used that they did not know. So, what if the man in the anecdote (as I heard it) did not read that particular word in N'Ko and it had never been written down (except perhaps in an academic publication or two in shelved in university libraries in Europe and America)? And in that way, that that particular word and concept was lost to him, and became progressively forgotten in the speech community? Could it effectively be lost entirely? Such loss of words - and hence range of expression - must have a cost to speakers of the affected languages and to their communities and societies at large. It arguably may not be too far from the Orwellian "Newspeak" in impact, though as a process not as a project. How many efforts are there in Africa that successfully counter such language contraction, as N'Ko seems to be doing for Manding? N'Ko is also a kind of "koiné," or emerging standard, of the Manding languages of several countries in West Africa, which is expressed in a growing number of publications. Manding is a subgroup of Mande languages that include several highly mutually intelligible languages, notably: Several varieties of Maninka and Mandinka, which Ethnologue groups as the Mandingo "macrolanguage"; Bambara; and Jula. Tone markings are integral to the system, not optional as in the Latin-based orthographies (where they are generally omitted except in dictionaries). This feature allows for distinctions not only between words with different tones, but also use of tones affecting meaning in phrases. The number of people speaking an African language at home in the United States* increased by 111% in the decade before the last census. Which African languages are most common among them? Looking at a map of most spoken African languages by state in the US from an article by Ben Blatt in Slate last year kind of answers that, but then raises more questions. To begin with, the names listed in the map include two languages (Amharic and Swahili), two branches of language families (Bantu and Cushitic), one language group (Nilotic), and a seemingly eclectic grouping of "Kru, Ibo, and Yoruba." 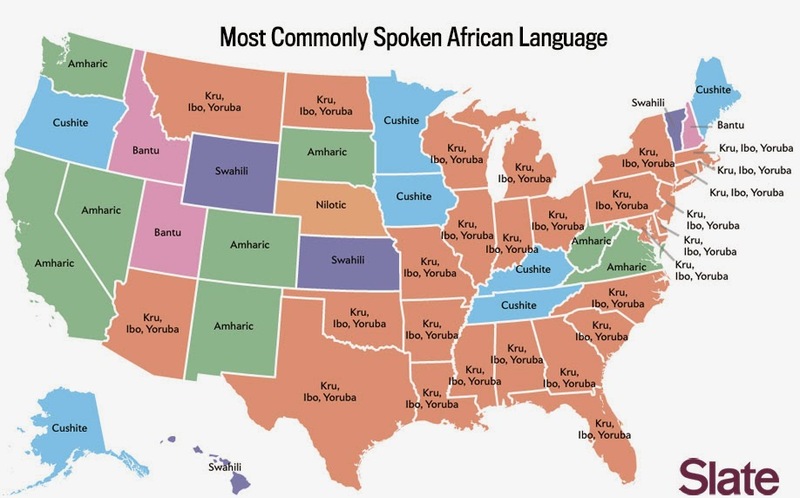 Time for the Census Bureau to review its African language categories? It is hard to know what to say about this list. It is obvious that some thought has gone into it (despite the puzzling combination of two major and distinct Volta-Niger languages - Yoruba and Igbo - with the linguistically and geographically distant Kru languages). And indeed the Bureau indicates it has based the categories "generally on Classification and Index of the World's Languages (Voegelin, C.F. and F.M., 1977)" and that it updates them "constantly using linguistic books and online resources." But without further background it is hard to get away from the feeling that it is a bit random. Another unknown is what the process is for determining who is counted under what category. The Census questions include an open-ended one for people who speak a language other than English at home: "What is this language?" Only the few languages listed directly on the list would be simple to tabulate - such as Amharic and Swahili. But if someone answers, say "Hausa," they would at some point (presumably not that of the enumerator) have their answer tabulated under "Chadic," since Hausa is in the Chadic branch of the Afro-Asiatic family of languages. If "Zulu," then "Bantu," and so on. The reason for tabulating under broader categories, as I understand it, has to do with confidentiality concerns (when there are few people speaking a language in an area). However, if "Wolof" or "Akan" is the answer, there doesn't seem to be a category under Niger-Congo that applies, other than the catch-all 799. How many cases are there like this? Another issue is that a couple of categories may not be current - Sudanic and Nilo-Hamitic. Altogether, it would seem that an expert review and revision of the categories would be timely, as we are still five years from the next census. That would make the results more useful. * According to U.S. Census Bureau, Statistical Abstract of the United States: 2012, "Table 52. Population by Selected Ancestry Group and Region: 2009," a total of 777,553 people speak African languages (not specified) at home. This total does not include Arabic, which was counted separately at 845,396. Wiktionary may sometimes be uneven as a reference, but how might it work despite gaps and errors - or even because of them - as a study aid for African languages? Here are some reflections on use of Wiktionary, the wiki dictionary in English, and Wiktionnaire, the French edition, in trying to keep my Fula (Fulfulde/Pulaar/Pular) and Bambara skills somewhat current, and possible lessons from this brief experience for teaching of these and other languages to second language learners. 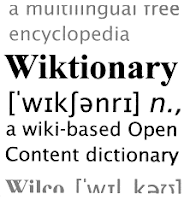 For those not familiar with Wiktionary, it is the dictionary counterpart of the Wikipedia online editable encyclopedia, and also run by the Wikimedia Foundation. There are Wiktionaries written in 171 languages, according to the official count, of which 148 are "active," according to my count (the other 23 have been "closed" due to inactivity). In each language edition, there may be words and terms from any language, but defined in the edition's language. So, the English Wiktionary has entries in "over 1550 languages," but the navigation, definitions and categories are in English. 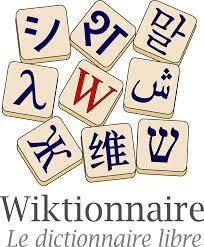 Similarly, the French Wiktionnaire boasts terms in over 3800 languages, all defined in French. Referring to a list of Wiktionaries by language families, one notes 25 African language editions, of which 16 are active (Afrikaans, Amharic, Arabic, Hausa, Kinyarwanda, Lingala, Malagasy, Oromo, Sesotho, Somali, Swahili, Swati, Tigrinya, Tswana, Wolof, and Zulu), although some have only a few entries and translation of their user interfaces is not always complete. It is worth noting that the Malagasy edition is one of the three largest, due in part to an effort to automate adding of content (see here for background). Wiktionaries for nine African languages are closed or locked (Afar, Akan, Bambara, Kirundi, Shona, Tsonga, Twi, Xhosa, and Yoruba). So as a first observation, a person studying an African language at whatever level may not find a Wiktionary edition in that language, and even if they do, they may not find much of use there. On the other hand they may find terms from the language they are studying defined in another language edition. For instance, the Hausa Wiktionary has only 62 entries, some of those empty or with English instead of Hausa definitions, but the English edition has over 400 Hausa terms - more but still not much (the French edition has 22). So, with other good materials for this language in print and online, why even bother with Wiktionary? The short answer is that due to its participatory nature, it can be a space for work that benefits learning - one's own and potentially that of others. I have long maintained that the participatory nature of Wikimedia projects in general offers potential uses in education. One approach is to have students "publish" or revise articles on Wikipedia that are relevant to class topics - this is actually an approach that some instructors have developed for use in university or even medical school classes.. In a short presentation at the African Language Teachers Association conference last April in Herndon, Virginia, I brought up a sub-theme of this idea: That intermediate and advanced students of African languages could stretch their language skills to write articles on various subjects in African language editions of Wikipedia - with guidance of their instructors - as part of their classwork. This suggestion is not to minimize the level of expression that could be used in these languages, but rather to combine giving students experience with helping fill gaps (often large gaps) in African language Wikipedias, where there is at least the potential for feedback on their contributions from native speakers. Since I am not teaching, I have not been in a position to implement this idea, but considered how I might do this on the Fula and Bambara Wikipedias for my own review. However, working alone with rusty language skills in limited time periods, it has not been practical to use this approach. Wiktionary on the other hand would offer opportunities to engage with the languages that interest me in shorter periods and on the level of vocabulary review. Unfortunately, as I indicated above, there are not currently any Wiktionaries in either Fula or Bambara, so I looked at what there was on these two languages in the English and French editions. The idea of using Wiktionary in similar approaches is not new. An article in The Economist last year mentioned use of it for looking up words across languages, taking advantage of cross-wiki links at the bottom of the left hand column. Another article described use of the concept of "Wiktionary" with a different software for teaching biology terms within one language (English). I chose to work on Fula words in the English Wiktionary, because there was a bit more there to work with than in the French Wiktionnaire, and since English is my first language, it is easier to deal with the wiki markup and template issues that I'd have to figure out along the way. And since there were already over 2400 Bambara terms in the French Wiktionnaire, I decided to take advantage of that resource by focusing on revising and categorizing. This made for two quite different experiences. I had actually done some edits to Fula and Bambara entries on the English Wiktionary earlier, but at the time I began to focus on Fula earlier this year, there were well less than 100 entries for that language. Since my experience with the language includes compilation of a Fulfulde dictionary, one of the first aspects I worked on was adding roots to the etymologies for several entries, then entries for roots, and a category for those root entries. 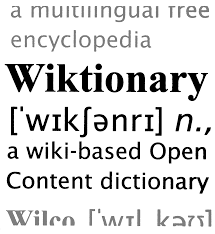 Entering terms on Wiktionary is not just a matter of adding a word and a meaning into a form. There is an expected structure, which is filled out in the wiki markup. In addition, certain templates may be used for parts of speech, plurals, and so on, and other markup to nest categories. For a complex language like Fula, with vocabulary based on roots and "infixes," some 26 noun classes, and initial consonant changes, elaborating that structure turns out to be the main issue. Another structural issue was setting up templates for the plural forms of nouns. Fula plurals often take a form different from the singular, involving initial consonant changes in some cases, and different endings. The plurals also belong to one of their own classes (four of the 26 classes are for plurals), so that a good template will facilitate entering singular form, its determiner (which is also the class name), the plural, and its determiner/class. Yet another issue is setting up a standard page for verbs. Fula verbs occur in three "voices" and are quite regular in conjugation, with no differences among the persons, except for initial consonant changes for some consonants in plural form. But setting up the tables for conjugations in Wiktionary seems to be somewhat involved. A further complication is the fact that Fula has several varieties (some consider them dialects; Ethnologue classes them as separate languages), and some words or forms may differ in one or more varieties. Setting up a way of indicating this, and listing references, was not difficult. In sum, much of my limited effort on Fula entries of Wiktionary has been devoted to necessary foundational work on the structure of articles, and slowed by the need to learn some of the more advanced wiki markup. So as a tool for review, it has so far been of limited use so far, and I unfortunately could not recommend it at this point for learners of Fula. Whether via the random page or other look-up, I've reviewed and often modified entries, consulting online and print references as necessary. I've also worked with the categories, which once set up is a great way to review semantically related terms. So for instance if I come across a word related to agriculture, and add it to that category (Catégorie:Lexique en bambara de l’agriculture), I can immediately open the category and see other terms. For category organization, it has been easy to consult that used for French. Bambara is not complicated in the same way as Fula (simpler morphology, no classes, no conjugation), so entries are easy to set up and modify. It has been possible to accomplish a lot in short sittings or even on a mobile device. As such, I would recommend it for use by learners of Bambara. Advanced students may be able to expand, correct, or create entries - basic knowledge of wiki markup would suffice. 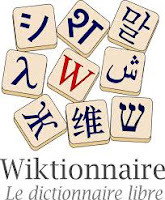 Any plan to use Wiktionary as an activity in classes would have to be preceded by evaluation of the language material and whether the structure (categories, templates for special features) would facilitate students actually getting something out of the effort. I believe my personal experience shows some of the challenges and potential of using Wiktionaries for learning and review of vocabulary. What of other online dictionaries? Could contributing to Kamusi for example also be of use to learners? One advantage is that it has is no wiki markup to learn (see this comparison for other differences). I hope to come back to this in a future posting.